Summer is getting closer and soon December will be here and the lights in Happy Valley back on. We attended the Bay TV birthday celebrations on Heritage Day this past Monday and the Kidz said that they can't wait to go and see the characters when the lights are on again. 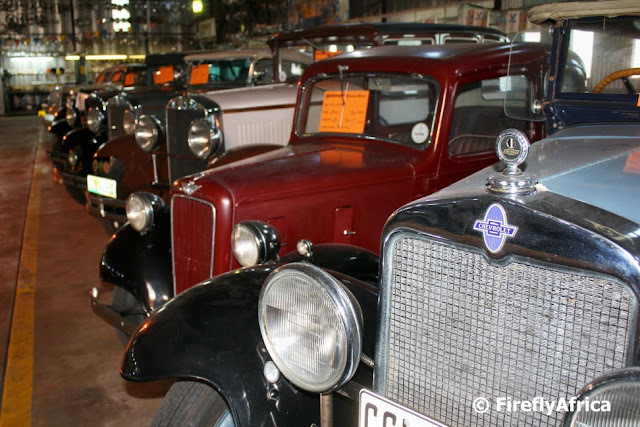 The St Croix Motor Museum in Port Elizabeth has one of the most magnificent private collections of classic and vintage cars in South Africa. Unfortunately this museum is under threat of closing due to the fact that the government department that owns the property doesn't want to renew the museum's lease. The owner of the museum, Eben de Vos, is a very worried man right now as there isn't another suitable site for him to move his collection of over 60 cars to with enough space where it will be safe and secure. The St Croix Motor Museum really is one of the city's museum gems and really need to continue to exist and I for one hope and pray that a solution to this dilemma will be found. Standing on the 18th tee of the Humewood Golf Course looking down the fairway towards the clubhouse in the distance. 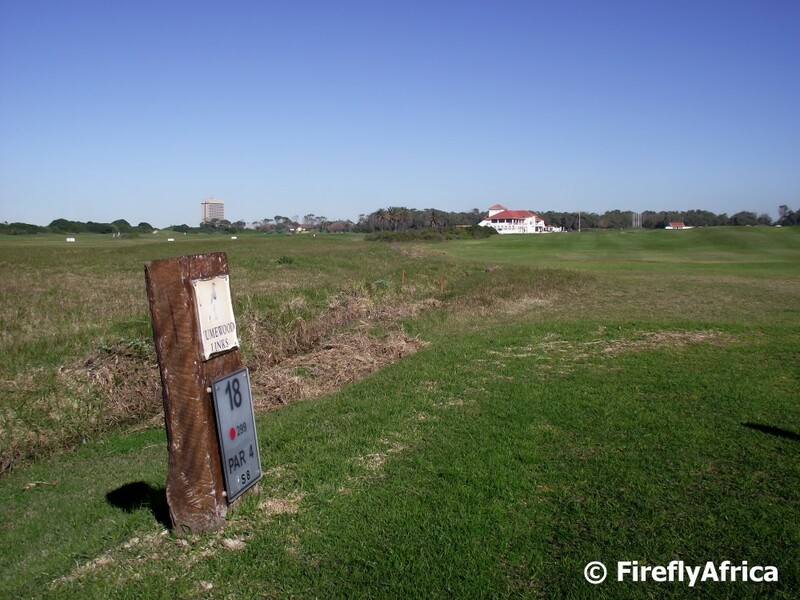 Humewood is a links courses and is consistently ranked as one of South Africa's top golf courses. The late Bobby Locke considered Humewood Golf Course to be the best in South Africa and said that it compared favourably with the top links courses in the British Isles. I don't play much golf myself having never done a proper 18 hole course (actually don't think I've played at all in the last two years), but would love to try this one at some stage. If you are into cars then the VW AutoPavilion is just the place for you. 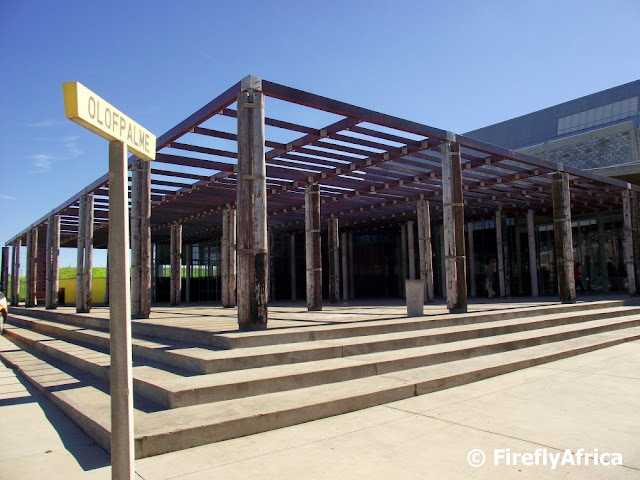 The museum is state of the art and a superb representation of everything Volswagen. 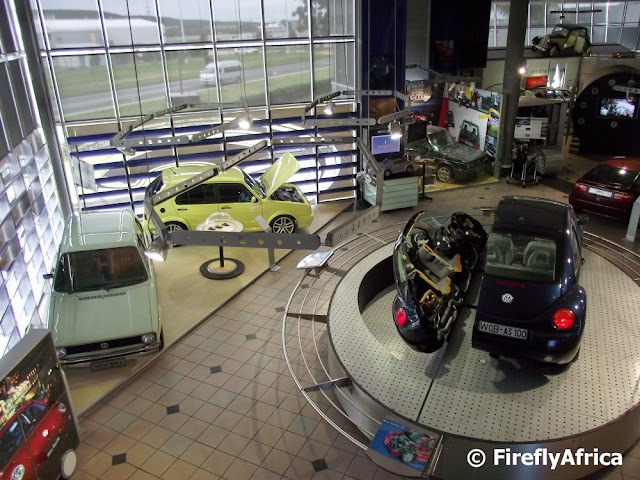 On display is everything from actual cars to driver simulators, engine parts right through to the detailed history of VW. Visitor can also book tours through the VW factory next door to the museum, but I have to be honest here. I've never been on the factory tour so I can't really comment in it. I will make a plan to get there soon though. 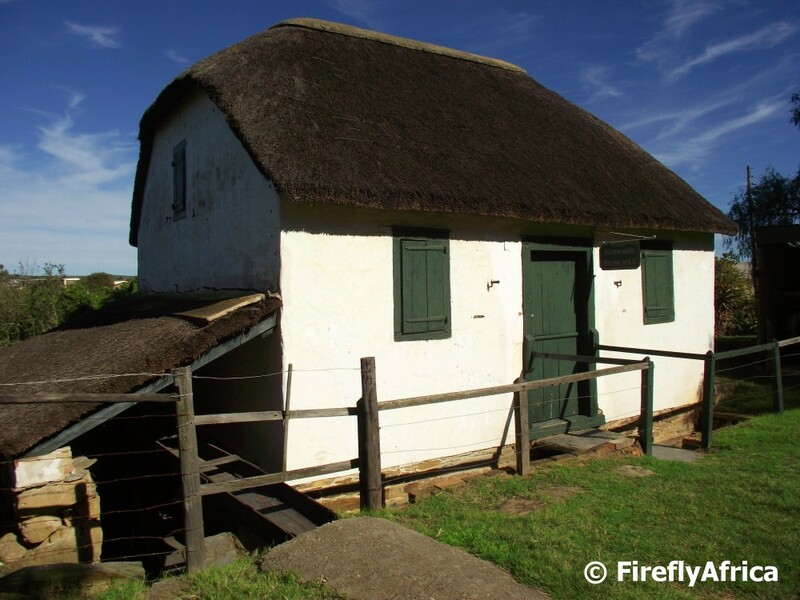 Today is Heritage Day and a national holiday in South Africa. 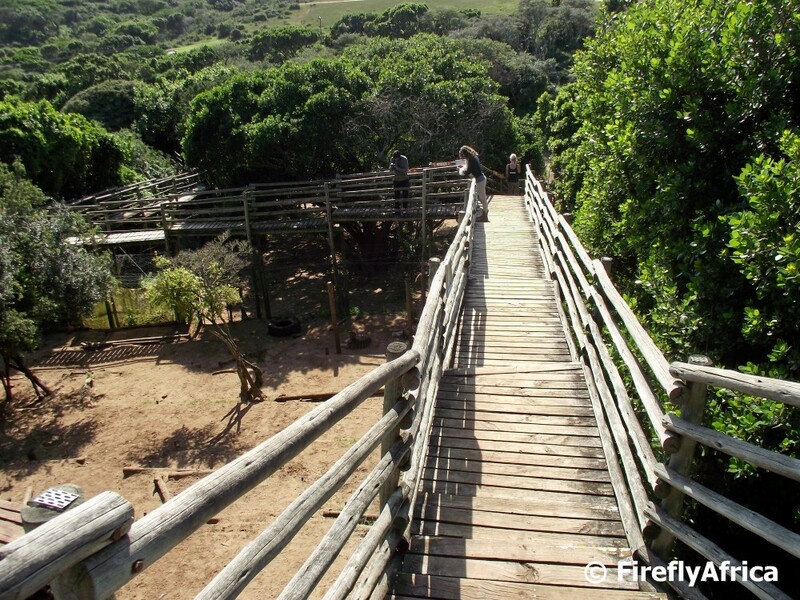 It is also Braai Day which is closely linked to most cultures in the country. I had to work today so made up for it by having a braai on Saturday night. 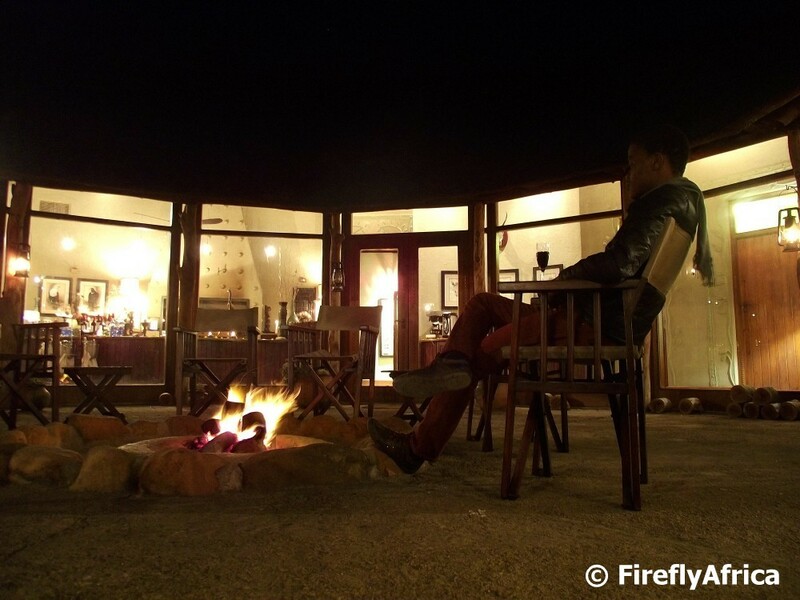 I am exhausted though and can really do with a bit of just sitting next to a fire at a game lodge with a drink on hand like this guy is doing at Pumba Game Reserve close to Port Elizabeth. 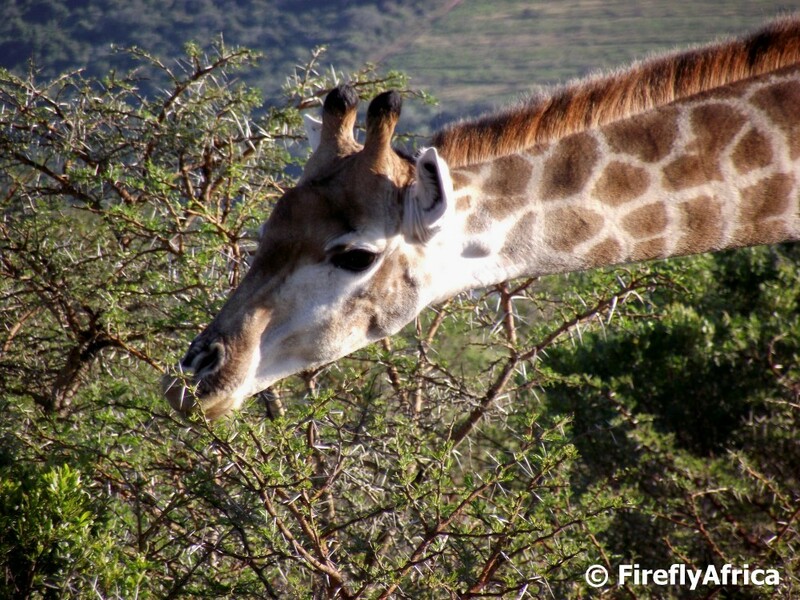 I am always amazed to see some wild animals like elephants and giraffes eat off thorn trees. Elephants take the whole branch while giraffes curl their tongues around the branch and pull the leaves off. How come the thorns don't prick them? The thorns are angled slightly towards the end of the branch and bends over as the giraffe pulls the leaves off. Amazing isn't it? 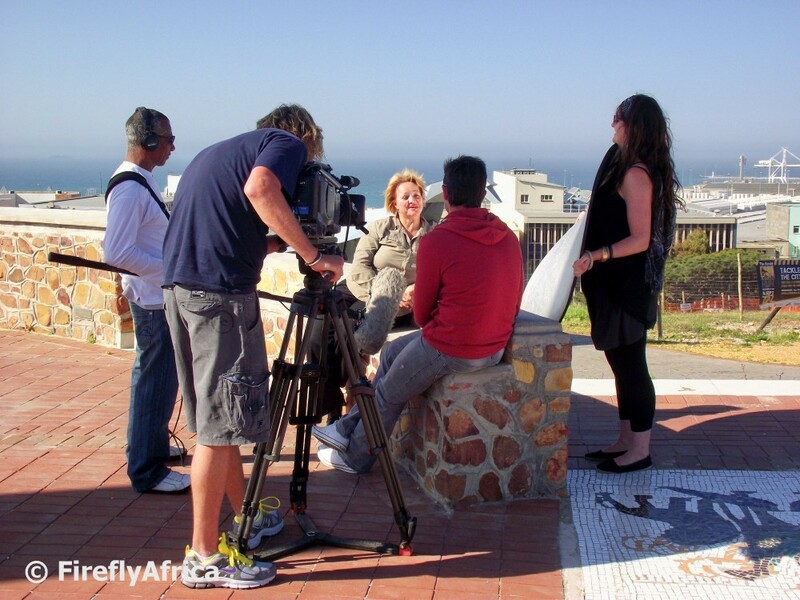 Last week the crew from the SABC 2 Afrikaans magazine program Pasella was in Port Elizabeth to shoot a couple of stories. 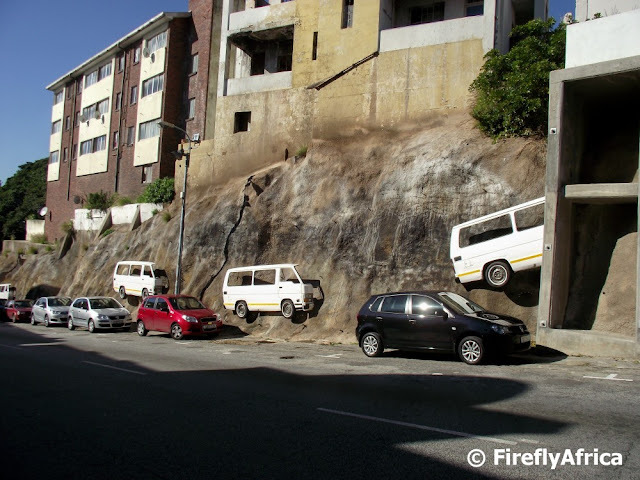 The one story involved vintage cars and a bit of history of Port Elizabeth. I needed to organise them somebody to interview regarding the Donkin Reserve and as I have been on Pasella before with regards to this same subject I needed to get them somebody else. I asked my colleague Mathilda and she hesitantly accepted, although getting a bit more excited after hearing that the presenter for the insert would be ex - Mr South Africa and popular Pasella presenter Dieter Voigt. Here Mathilda is getting a few seconds of fame during the shoot. 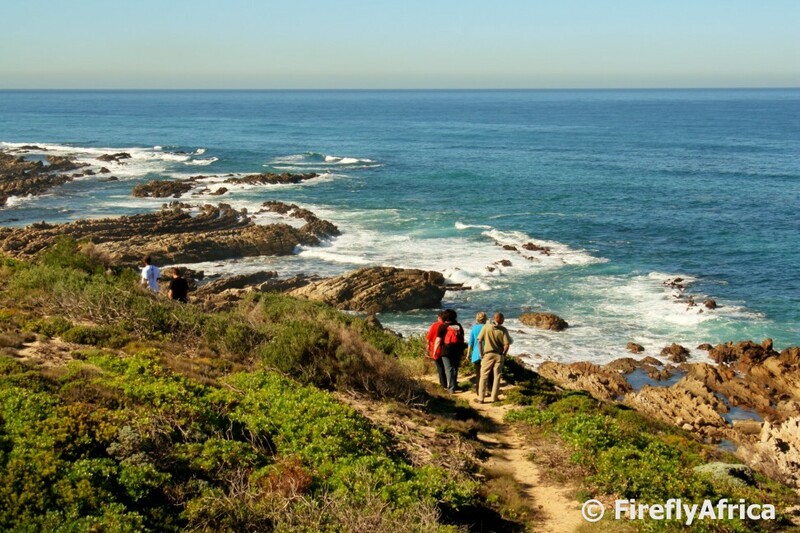 Most people hiking along the Sacramento Trail between Schoenmakerskop and Sardinia Bay follows the path along the shore line in both directions not really knowing how stunning the views are from the top trail. I had taken the bottom path many times before and got to take the top path for the first time while doing the trail with some colleagues recently. The views are absolutely amazing. 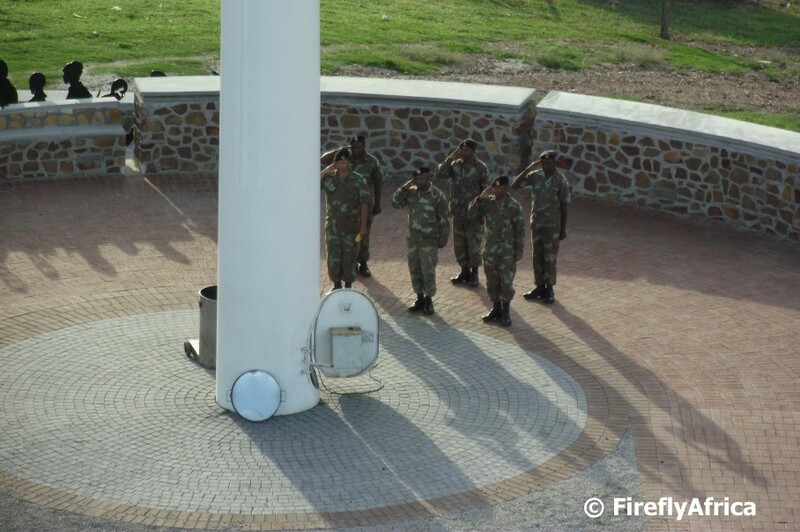 Soldiers of the Prince Alfred Guard standing at attention while the giant flag on the Donkin Reserve is being lowered. The reason 6 guys are needed is due to the size of the flag and the fact that it may not touch the ground when it comes down. It was quite fun watching them grab the 12 meter x 8 meter flag and putting it back into the base of the flagpole. The flagpole is the tallest in Africa while the flag is the biggest South African flag in the world. September is Tourism month and on the second Saturday of September a group of about 40 people went on a guided walk around the South End Museum Heritage Trail organised by Nelson Mandela Bay Tourism. I found this patch of fygies growing next to the road close to the green mosque. I dashed down to get a picture of the group passing it in the background and with my somewhat slow camera only got one shot before they had past. Pity the focus is on the group and not the flowers, but still a pretty picture. On Sunday I tackled the 2nd annual Urban Run along with about 1000 other athletes runners competitors adventurous people. What an amazing experience!!! 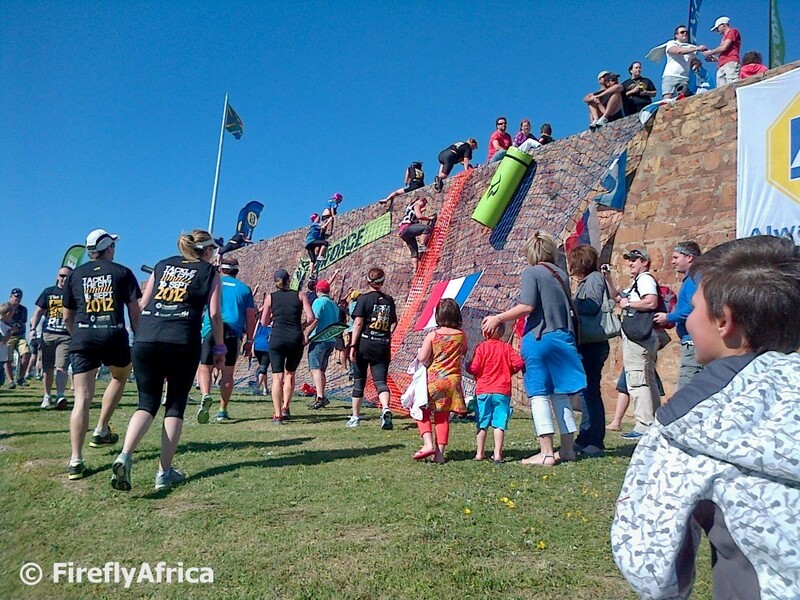 Urban Run is a 10,5km urban obstacle course through the Port Elizabeth city centre, the historical part of town, St Georges Park, Settlers Park and surrounding area. The 17 obstacles along the way included crawling through cement pipes, scaling Fort Frederick, crossing the Baakens River on poles and running trough a train. Did I mention the steps? No? There were lots of steps. And hills. Steep hills. But I'm not complaining. The Urban Run was a truly memorable race and I can now kick myself that I didn't do it last year already. 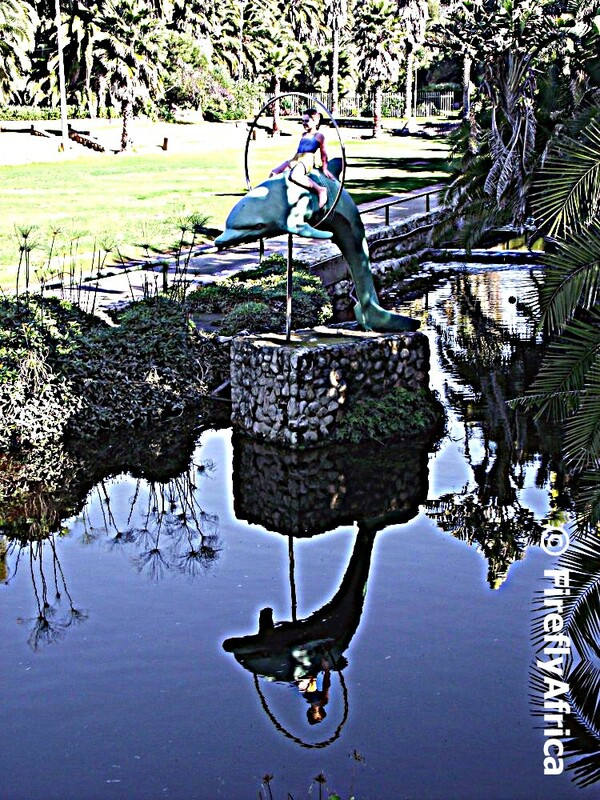 I will definitively be back again next year. It seems that all three weekend posts for this week have some kind of link to food. It wasn't planned, it just worked out that way. 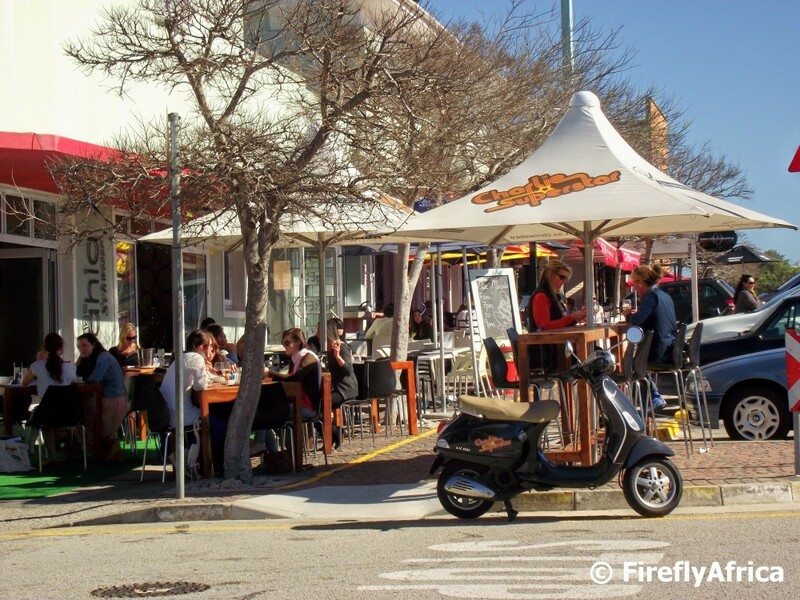 Stanley Street in Richmond Hill has become one of the most vibrant spots in Port Elizabeth with its wide variety of eateries and sidewalk seating. 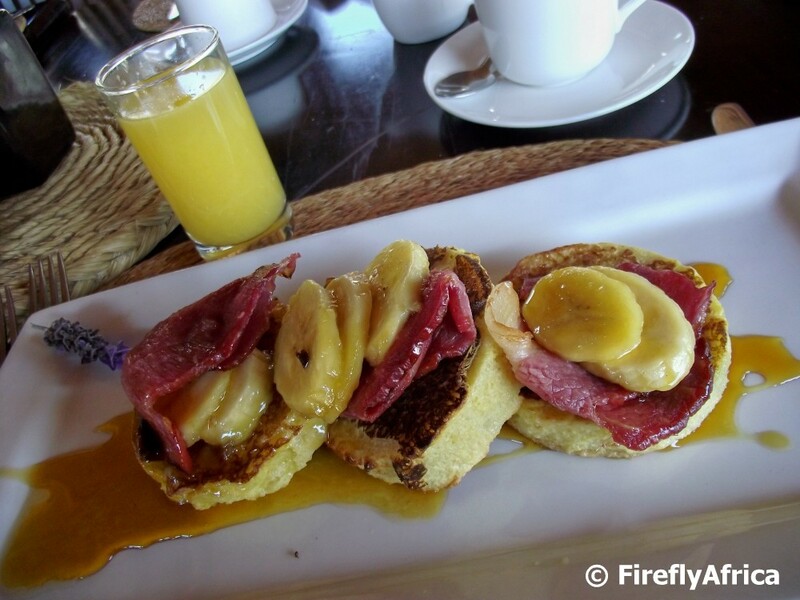 The offering from the restaurants range from steaks and pizzas to sushi, seafood and the most delectable cakes. Njam! I seem to be getting to know more and more township spots to go and grab something for lunch (see Tsisha Nyama and Beef stew and liver). 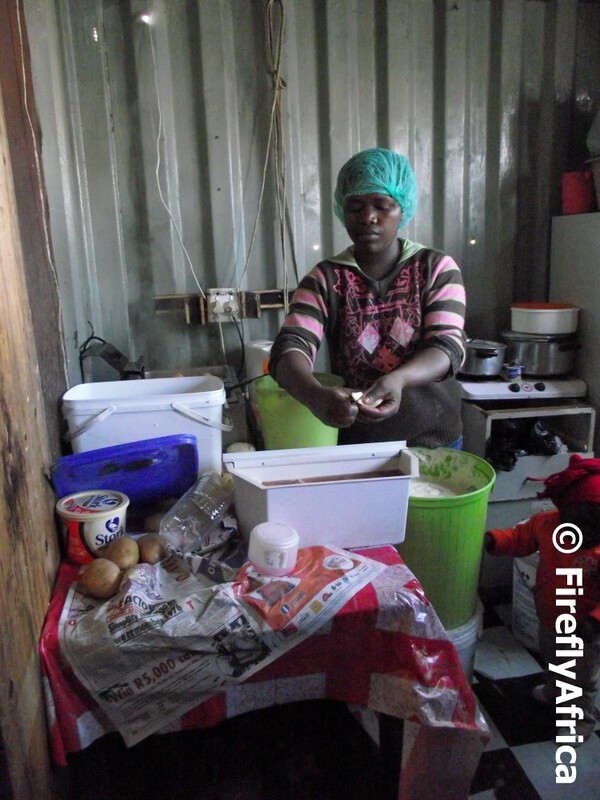 There are also a number of places I've been shown where you can stop for a snack like vetkoek or roosterkoek, amongst them the container near Red Location Museum where this lady works. They make the most divine roosterkoek (bread rolls made on the coals) - R1.50 plain and R1.80 buttered - and mini verkoek (dough that gets deep fried) - 20c each. We've stopped there a couple of times while out and about for work and I have never been there where there wasn't other people buying from her at the same time. In the pic she was cutting chips to serve with deep fried fish. Some people will probably pull up their noses at the thought of buying food from places like this, but I promise you it tastes just as good and you get it at a fraction of the price. Its Friday afternoon and the end of a tough work week. 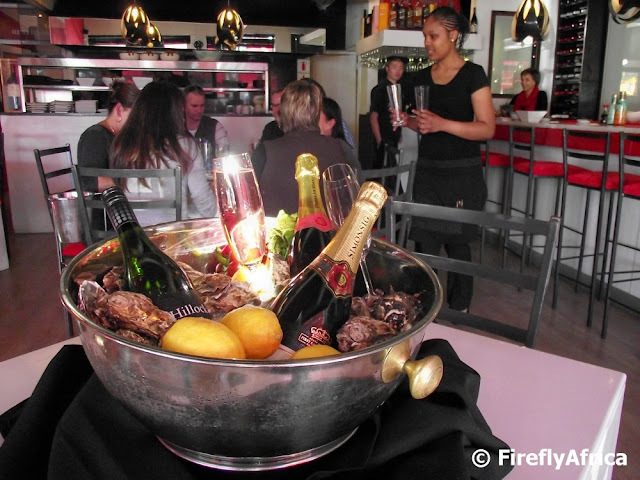 Feel like a quick drink with some friends to celebrate the coming of the weekend before heading home? One of the best place in town to do that is the very popular Bridge Street Brewery next to the Baakens River on Upper Valley Road. The plan was to start out as a pub, move on to food and the open their own micro brewery. Fortunately for us they were kinda "forced", due to popular demand, to get all of it going right from the start. 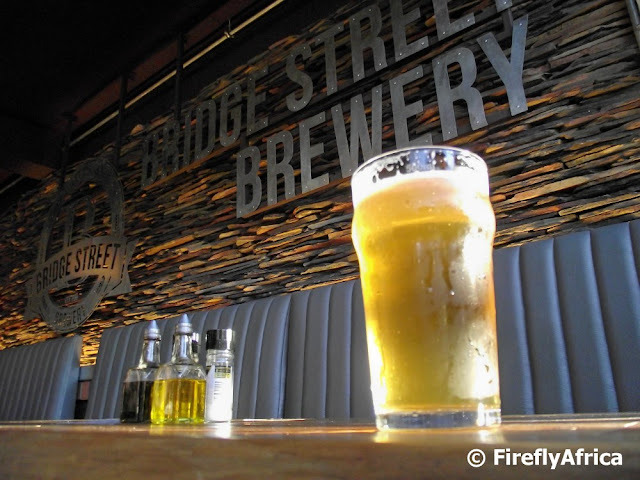 Bridge Street Brewery is run by Donovan Noyle (ex Toby Joe's) and along with master brewer Lex Mitchell (founder of Mitchell's in Knysna) they have established the city's first micro brewery alongside a establishment that will become legendary in Port Elizabeth. They produce Pilsner (my choice of beer seen calling my name in the picture), Bitter and a Double chocolate stout which apparently is to die for. And I'm not even much of a beer drinker. Browsing through the historic cemeteries in Port Elizabeth I often find the graves of people who were prominent Port Elizabeth residents back in its early days. 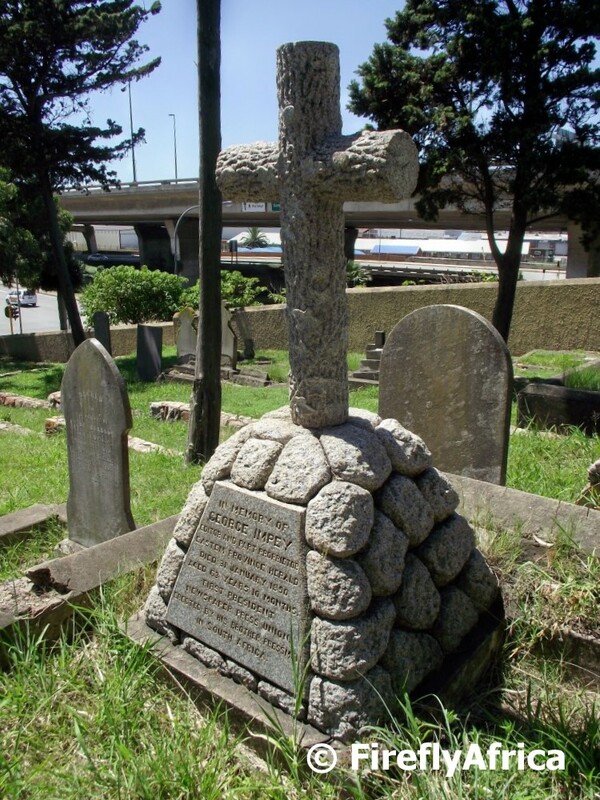 One of the graves I found in the St Mary's Cemetery belongs to George Impey who died in 1890 and was the editor and part proprietor of the Eastern Province Herald and the first president of the Newspaper Press Union. Today is the 35th anniversary of the death of Steve Biko, anti-apartheid activist and founder of the Black Consciousness Movement. I was invited to visit the police cell at the Walmer Police Station where Biko was kept after his arrest in 1977 before he was taken to the Sanlam Building in town where he was tortured. I hadn't seen the cell before and was glad that the opportunity has come my way as it is one of only a few heritage sites in Port Elizabeth I haven't visited. The visit was supposed to be followed by a commemorative lecture by Helen Zille, at the time one of the journalists to expose the story and today leader of the official opposition, at the Nelson Mandela Metropolitan University but it seems that the university buckled under political pressure from student groups and denied Ms Zille permission to do the lecture. 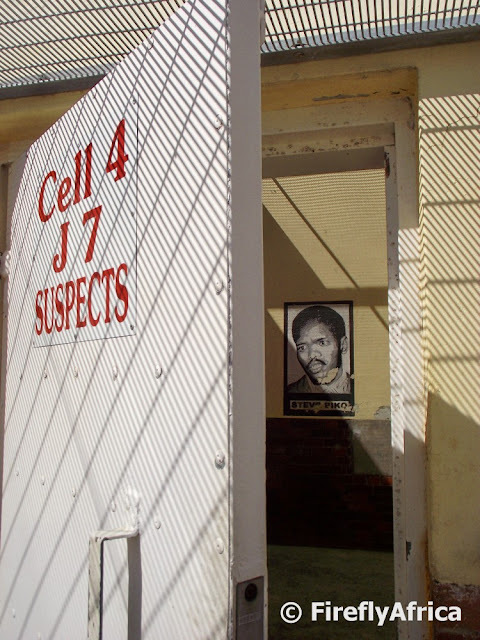 On 18 August 1977, Biko was arrested at a police roadblock under the Terrorism Act No 83 of 1967 and interrogated by officers of the Port Elizabeth security police. This interrogation took place in the Police Room 619 of what is known as the Sanlam Building in Port Elizabeth. The interrogation lasted twenty-two hours and included torture and beatings resulting in a coma. He suffered a major head injury while in police custody, and was chained to a window grille for a day. I've driven past the Shri Siva Subramanier Aulayam Temple in Upper Valley Road many many times but only got to go inside for the first time not too long ago. The temple was built between 1893 and 1901 by the Hindu community and was consecrated in 1901. The complex actually has more than one temple with the one in the picture being the Shri Krishna Temple which was erected in memory of JV Valayden in 1961. The guy who was supposed to take us around on that day unfortunately cancelled at the last moment so I really hope I would be able to make a return visit some time soon to learn more about the place. Today's post is a follow-on after yesterday's showing the camera man from Real Goboza filming on the Sundays River Ferry. 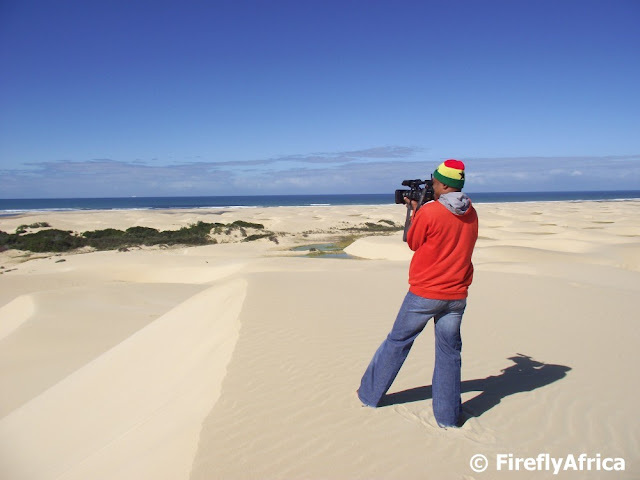 After the ferry stopped at the sand dunes I climbed the dunes with him in the hope that he will do some filming up there as well. He just could not believe the views from the top and shot it at all angles and in all directions. It really is a stunning view. 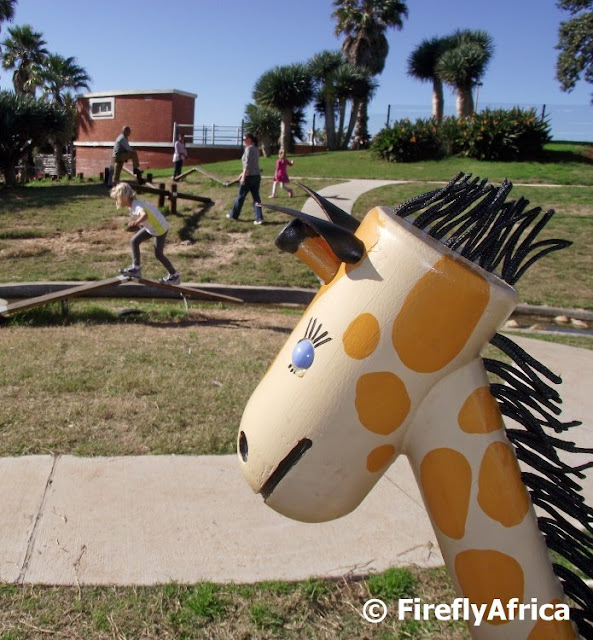 A week or so ago I accompanied a group of media around the Port Elizabeth area for a couple of days. 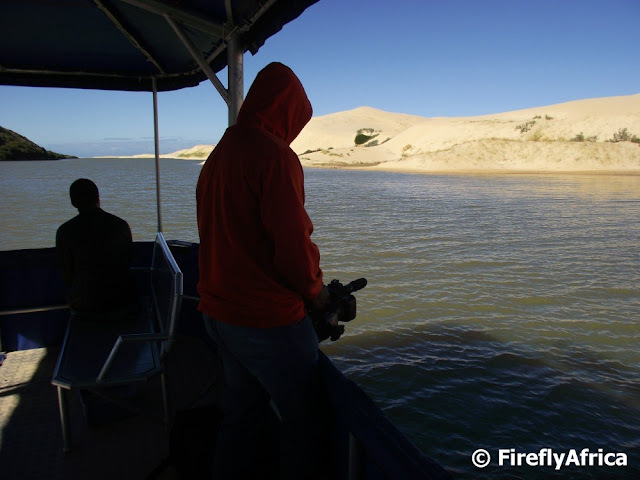 One of the activities we did was cruising down the Sundays River with the Sundays River Ferry before climbing the big Colchester sand dunes. The camera man of the SABC 1 show Real Goboza had a ball of a time both on the boat as well as the dunes and here he's busy filming while we were cruising downstream. 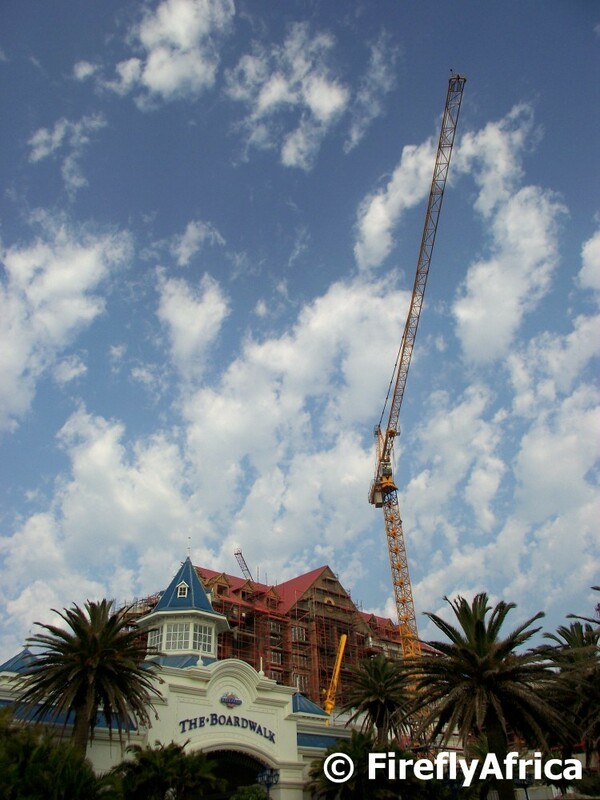 The construction on the new Boardwalk Hotel, Spa and Conference Centre is coming on very nicely with the roof having gone up already. I always like photographing historic buildings lit up with spot lights after dark. Perhaps its just me but there aren't as many these days as there used to be in the past. 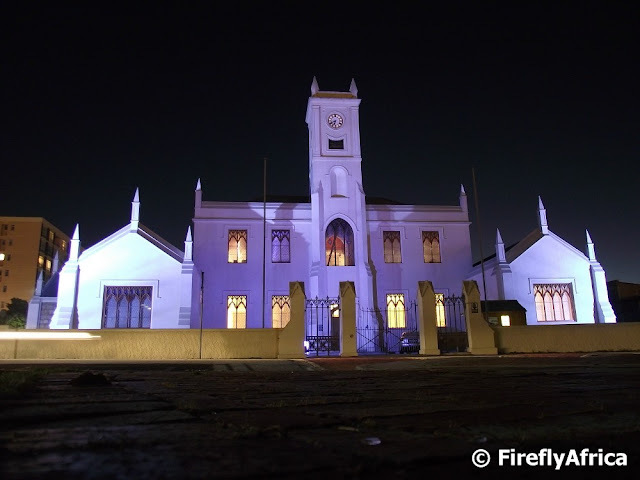 I had to go to an evening meeting at the Grand Hotel in Central and because I was a bit early I popped along the Donkin Reserve to get a couple of photos of those buildings that were lit up. This is the Grey Institute. "History is often shaped by momentous events, while cities with their alleys, streets and avenues are formed by the layered rhythms of the daily necessity. 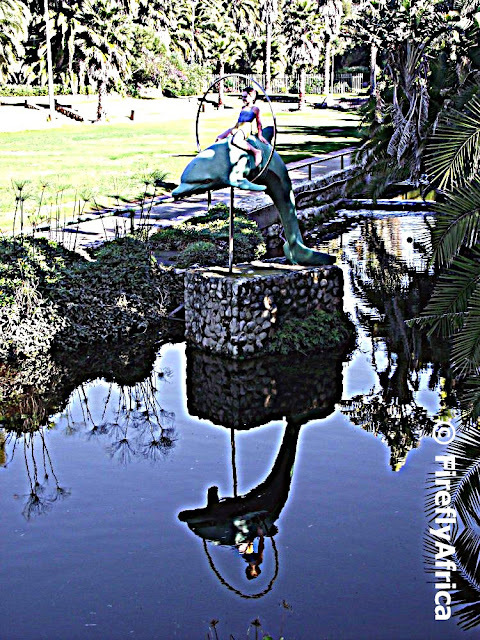 This rhythm of place, shaped by the everyday, becomes the song of the city." I always wonder who the first person was to be brave enough to open an oyster and put the "meat" in their mouth, allowing it to gently slide down their throat. They most likely did it while in search of a food source but whoever it was did us all a huge favour and today oysters is very much a delicacy. Fusion in Richmond Hill had an oyster promotion when I had lunch there the other day and I couldn't help but snap a pic of their promotional display. But not after having a few myself. Swedish visitors to the Red Location Museum in New Brighton always stand in amazement at the fact that the street in front of the museum is called Olof Palme Road. Olof Palme was the Prime Minister of Sweden until his assassination on 28 February 1986 and a big supporter of the anti-Apartheid movement in South Africa. The Swedish government has also made a number of investments in upliftment projects in the New Brighton area since the dawn of democracy. 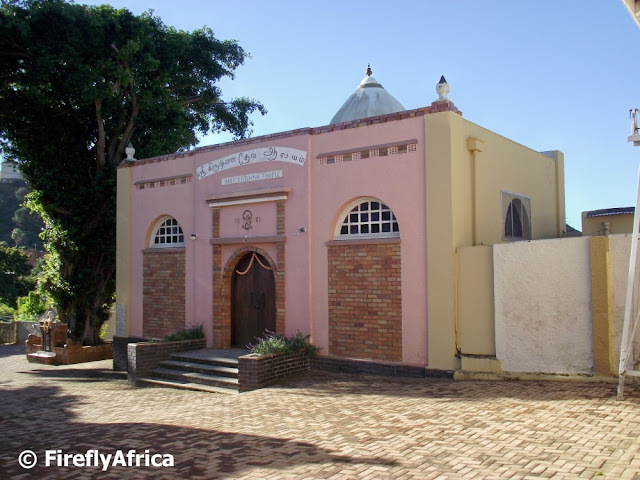 I think its very sad that so few people visit the Cuyler Manor Museum in Uitenhage and get to see its many features. One of these is their working water mill which if you ask very nicely, they may just show the workings of to you. 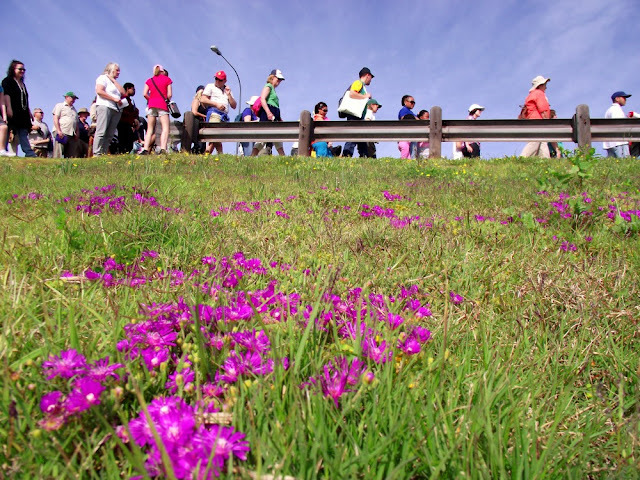 Seeing that I've done a couple of posts promoting the events organised by Nelson Mandela Bay Tourism for Tourism Month, I thought to do just one more. People tend to immediately know what you're talking about when you mention District 6 in Cape Town, but very few actually know that South End in Port Elizabeth has a very similar history. South End has a number of heritage sites which are connected together by the South End Museum Heritage Trail. 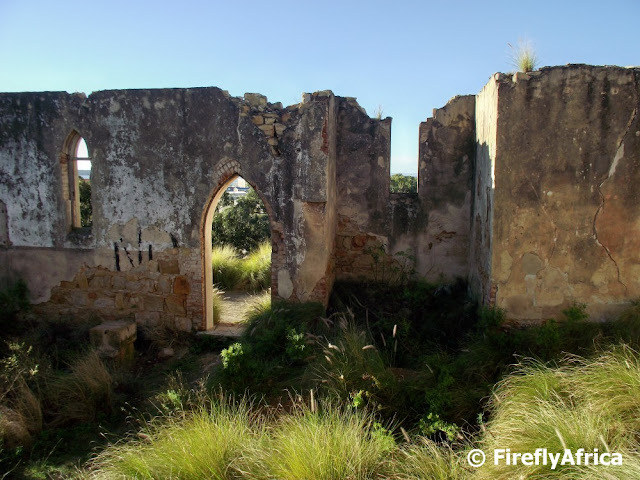 One of the sites the trail visits is the ruins of St Peters Church, a popular spot for wedding photographers yet a place with a very sad history. I am hectically busy at work. In actual fact as this pre-scheduled post appears I am in Jozi for the annual Gauteng Getaway Show. 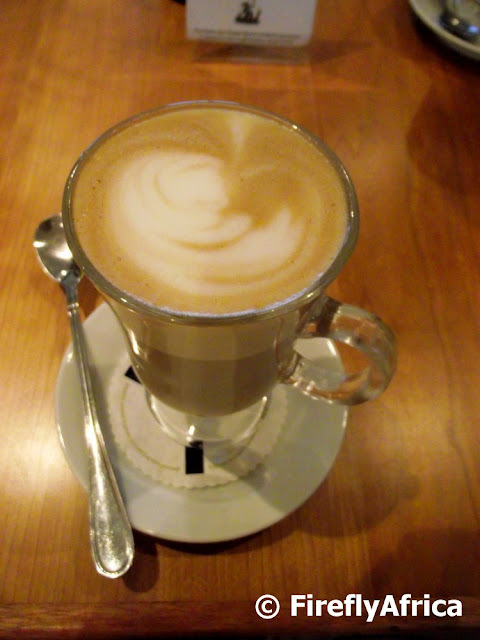 I kinda wish I could just sit back and relax with a coffee like the designer ginger biscuit flavoured one in the pic I had at Como Cafe in Walmer the other day.